During the final phase of Linus Pauling’s ascension into the positions of Chairman of the Division of Chemistry and Chemical Engineering, and Director of the Chemical Laboratories at the California Institute of Technology, the construction of the Crellin Laboratory lurked in the background with several adjustments to the building plans needing to be made. In May 1937, recognizing that the project was over budget, the Division Council began looking for ways to save money on equipment like table tops and hoods. When September arrived and the project was still short, Edward Crellin agreed to make an additional gift of $5,000 specifically for floor coverings, an amount that was still not enough to fully cover costs. That fall, Pauling was in residence at Cornell University as George Fischer Baker Lecturer, and he took the opportunity to investigate the floors that had been installed at the Baker Laboratory. Once done, Pauling wrote to his Caltech colleague Arnold O. Beckman, who was overseeing the furnishing of the Crellin facility, and told him that Battleship linoleum had done well in its fourteen years of covering the halls and offices at Cornell. Resolite, on the other hand, had not endured quite so nicely. Beckman followed up accordingly by testing Resolite against Tex-tile, which Caltech’s contractor had recommended as a possible alternative. Beckman reported that both materials “softened” when they came into contact with organic solvents, but Resolite would be a more economical purchase. As a result, Beckman decided that they would use Resolite in the laboratories, despite Pauling’s misgivings, and linoleum in the hallways and offices. Otherwise, the building was nearing completion as it had been painted and awaited furnishing. As chair, Pauling was obligated to keep a close eye on the division’s budget and to think hard about the best ways to direct funding. In this, Pauling’s bias was clearly in favor of devoting funds to research. 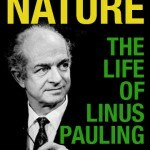 In one instance, when colleague Howard J. Lucas requested support to attend a conference on the East Coast, Pauling replied that because Lucas was not presenting a paper, the division could not provide funding. In the future, Pauling suggested, Lucas should arrange to give talks when travelling east. Pauling did, however, agree that it would be a good idea for Lucas to hire an assistant to help him with his research on bean pod hormones and set about securing funding for a six month temporary position. Though administrative responsibilities now occupied much of his time, Pauling continued to teach, including the graduate courses “On the Nature of the Chemical Bond” and “Introduction to Quantum Mechanics with Chemical Applications.” As chairman, Pauling also held more sway in shaping what was taught both within the division and across Caltech. Before his first year as chair had been completed, Pauling used his new title to push for the development of broader course work in organic chemistry across the campus. And in this case Pauling saw quick results, in no small measure because of lingering momentum from A.A. Noyes’ activities as the previous division chair and the influx of money coming from the Rockefeller Foundation. Indeed, one might intuit Pauling’s satisfaction in writing “Carried!” next to an agenda motion stipulating that, for seniors in physics, applied physics and astronomy, Caltech remove required courses in statistics and replace them with organic chemistry classes. Within the division, Pauling had to work with the Division Council before proposing any changes to the curriculum. In spring 1938, the council approved an optional second year of organic chemistry for seniors, a request that the students themselves had been making. By 1942, the organic chemistry requirement became uniform across the division, with applied chemistry majors taking the coursework as juniors alongside chemistry majors. In 1955, Pauling suggested that the organic chemistry requirement be moved to the sophomore year. He also felt that there was too much physical chemistry in the sophomore curriculum. Early on as chair of the division, Pauling also worked to keep graduate students connected to the research of the division’s rapidly growing staff, which, bolstered by Rockefeller support, had increased by fifteen people in his first year. The total number of graduate students also increased from 25 to 45, each of whom received stipends of $600 to $860 a year as assistants. When he first became chair, Pauling was only ten years older than most of these graduate students, and he made a point of inviting them to his home or to desert camping trips to learn more about their work, ambitions and points of view. Pauling wanted this closeness to translate across the division and, in September 1938, proposed that faculty participate in regular seminars where they would present their research internally. Pauling gave the first talk in this series, providing an update on his hemoglobin studies. He also made it clear that he expected others to follow his lead. Though he was aggressive in putting forth and pushing his agenda, Pauling also demonstrated an ability to respond to faculty concerns, the first instance being complaints calling for a new instrument maker within the division. Specifically, Pauling asked Arnold Beckman about the possibility of replacing the current instrument maker with someone younger who would manage all of the responsibilities assumed by the instrument shop. As it turned out, Beckman had already been searching for someone new, but had not found anyone yet. Beckman preferred looking off campus, and would continue his search there. The most significant administrative tasks on Pauling’s plate were the building of the Crellin facility and the securing of stable funding from the Rockefeller Foundation. In May 1937, Rockefeller administrator Warren Weaver sent Pauling a detailed four-page letter outlining the ways in which Caltech could improve its Rockefeller grant application by including the anticipated costs of equipment along with more details on how the Division of Biology would use their allotment of funds. Weaver also warned Pauling that his request for an increase from $10,000 to $15,000 per year for his own research in structural chemistry was a “retrograde step” that was best avoided. Further suggestions from Weaver laid out an ideal path for distributing funds from a potential $60,000 annual award, with $10,000 going to Biology, $10,000 to structural chemistry, $35,000 to organic chemistry research, and another $5,000 earmarked for organic chemistry equipment. These suggestions, which Weaver also conveyed to T. H. Morgan in the Division of Biology, were incorporated into a revised application that was submitted by the two divisions in August 1937. At that same time, the Chairman of the Caltech Executive Council, Robert Millikan, told Weaver that, if Caltech received the grant, they would prefer that it begin the following July, when the new Crellin Laboratory would be ready. While Pauling continued to work out the details of the Rockefeller request, he also took steps to safeguard support for his own projects in negotiation with Caltech’s Executive Council. While Weaver wanted assurance from the council that they would continue to support biochemical work after the Rockefeller grant had been exhausted, Pauling too was seeking a guarantee that they would continue funding his structural chemistry work, since the Rockefeller Foundation would not increase its contribution. Pauling eventually asked the Executive Council provide $50,000 a year for the former and $5,000 a year for the latter. Robert Millikan and Richard Tolman made a similar appeal to Caltech’s Board of Trustees the following month, and the board agreed to this request. Meanwhile, Weaver continued to push Pauling on who he should hire with the Rockefeller money, qualifying his reactions to Pauling’s choices thus far as “not entirely enthusiastic.” For Weaver, Pauling’s suggestion of the brothers R. R. Williams and Roger Williams represented “a somewhat unsatisfactory compromise between the ideal of a young, well-trained and exceedingly brilliant man, such as [Alexander] Todd or [Carl] Niemann, and a thoroughly experienced and broadly interested world leader, such as we should like to find but cannot.” In response, Pauling suggested that they shift their energies to support someone like Niemann, who was already coming to Caltech the following year. Pauling and Weaver alike assumed that Todd, a future Nobel Prize-winner who was based in London, was likely not available, but both did their best to try to recruit him to Pasadena.